Why Not Move To The Country? I get asked this a lot when I talk about backyard farming or keeping livestock in the city. The fact is, not everyone can just pull up and move to acreage! For us, because of my husband’s job, we need to be in a larger city. Of course when we moved into this house almost a decade ago, I wasn’t thinking about city homesteading (hence my tiny backyard). If I had known what was to change inside me quickly, I would have looked for a house that was not in a HOA and probably on the outskirts of the city. Some backyard or urban homesteaders like all the modern conveniences of city life, and even enjoy the manicured lawns and uniform of an HOA neighborhood. But they still see the merits (aka commonsense) of keeping a few hens, tending a garden and the like. Why should they have to give up their home to do something that doesn’t infringe on anyone else? You shouldn’t have to move out of the HOA house you love to keep backyard chickens! 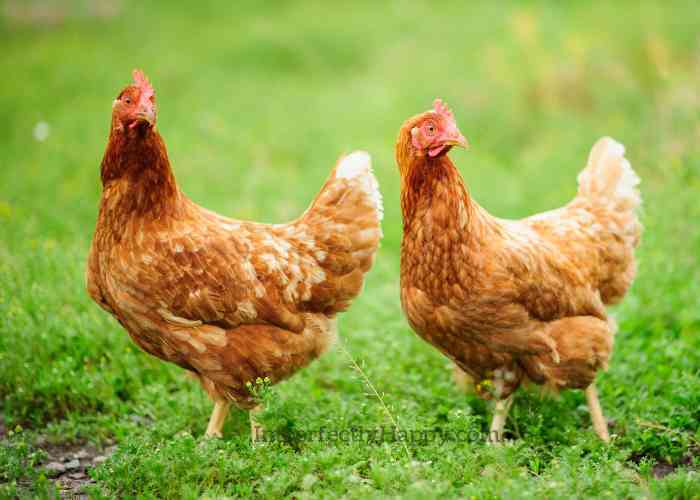 Get familiar with your city’s laws and ordinances around chickens. If they are already legal in the city, great; if they are illegal you won’t have much of a leg to stand on with your HOA. Many people are fighting their cities for the right to raise hens in urban and suburban settings; look for groups in your area that you can join. Even if politics are not your thing, you may need to jump on the bandwagon to fight for your right to party…I mean raise your chickens. Change the laws and HOAs may be a lot easier to approach. If the ordinances in your area allow for chickens then you’ll need to start with your HOA’s CCRs. What kind of rules are in place concerning animals, pets, livestock, etc. Many HOAs have specific numbers of animals you can have but do not specify what type of animals; this loose language could give you some wiggle room. Either way, before you suit up for the fight, you need to know what you’re fighting! The next think you want to do is get your neighbors on board. A group of homeowners fighting for chickens will be a lot more effective than you alone. 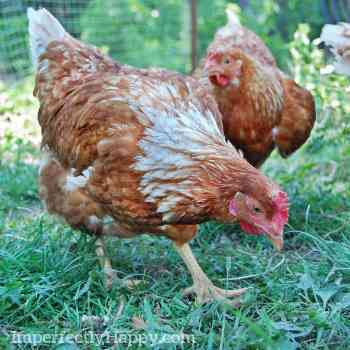 But you do have to be careful here, if you are already sneaking your hens in your yard (you could be outed!). I know, in this day and age, we often can live for a decade in a neighborhood and never really know our neighbors; but you’re going to have to step out and meet them. Start talking to your neighbors and see what they think about backyard chickens; you might be surprised how many of them are interested in raising chickens themselves. Find out HOAs that have allowed for chickens and bring a copy of their CCRs. If they are local and you can get someone from that HOA board to do a small presentation on their experience with backyard hens in their neighborhood, that would go a long way! Showing your neighbors, your HOA management and board that others have successfully allowed hens in their subdivisions could be the key to success in getting them in yours. If you can, bring a great visual presentation with plenty of pictures of cute backyard coops, happy chickens on the lawns and sad chickens in factory cages. There is a lot to be said for a picture is worth a 1000 words. Be prepared to educate your city, neighborhood and HOA about chickens. That means YOU have to know a lot more about chickens than they do. You’ll want to address things like noise (most people think all chickens sound like roosters), smell (they don’t want there backyard to stink), flies (poo), etc. Sure, your neighbors get that you want eggs but they may have concerns about raising birds for meat (they don’t want their kids seeing you off a chicken), so you’ll need to address that as well. Be sure to talk about the natural pest control that chickens can offer. Talk about the local food movement. Bring up the poor conditions of animals raised by factory farms. Be flexible with your expectations. Sure, we want to keep a flock of hens but if the HOA determines 2 hens is the limit then start there. If chickens are completely out, would they consider quail a reasonable alternative in the meantime. I don’t mean you should give up your fight but you can adjust for a period of time. Total loss of farm and home for raising chickens in the country. Hoa spent $100,000 in 8 years and hired 13 law firms !! !